← 2017 Pro-choice Signature Ad Letter Rocks! Options for you.. The Charlotte NOW chapter convened on July 5, 1972 and Charlotte NOW President Cindy Thomson was there. Thomson and another one of the original members of Charlotte NOW are presenting on chapter history for Women’s History Month. Thomson has stayed active with NOW all these years! In February 2017, Charlotte NOW did a presentation on Elizabeth Cady Stanton and Susan B. Anthony, who were part of the First Feminist Wave. 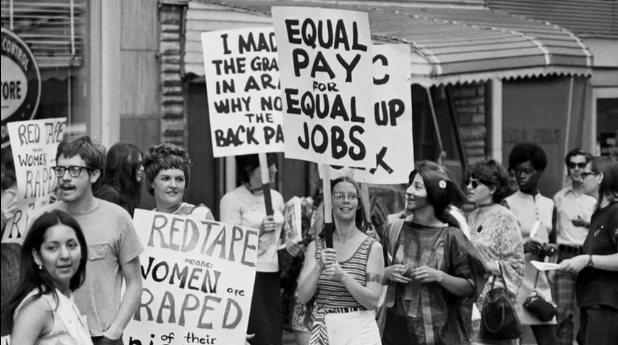 At this March event, Charlotte NOW will talk about the Second Wave Feminism that began in the mid-1960’s. Maybe you have a story to share. And if you are part of the Third Wave, beginning in the 1990’s, they’d love to hear from you, too. In addition to the history program, Charlotte NOW members will elect new officers. If you are a member and wish to be more involved, e-mail cltnow at yahoo.com or join online here. This entry was posted in history, women and tagged history, women, women's rights. Bookmark the permalink.